Lucasfilm is finally spilling the beans on Star Wars: The Rise of Skywalker with today’s panel at Chicago’s Star Wars Celebration revealing a ton of new info about this December’s closer to the Sequel Trilogy. Not least the fact that the title is se to be The Rise of Skywalker. 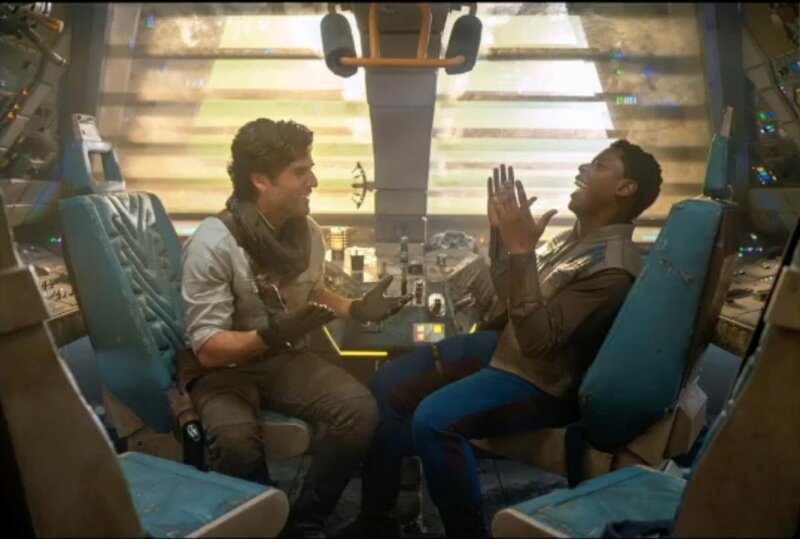 But, in all the excitement of that reveal, let’s not overlook this new photo of John Boyega’s Finn and Oscar Isaac’s Poe enjoying a laugh on the Millennium Falcon and strengthening their adorable bromance. Finn and Poe have famously been the source of a fan favorite “ship” ever since their friendship blossomed in 2015’s Star Wars: The Force Awakens, with many hoping the pair will finally get together and become the franchise’s first gay couple in Episode IX . Obviously, we can’t say which way that’s going to go yet, but this photo teases that we’re certainly going to get a lot of FinnPoe love in this movie, whether it’s platonic or not. Despite their close connection, Finn and Poe have been kept apart for much of the previous two films, but we can say that they’ll be together for most of Star Wars: The Rise of Skywalker, as the panel revealed that the whole core cast will go on an adventure together. What that adventure is, we don’t yet know, but we can’t wait to see the Sequel Trilogy family spending more time together come December.